You always expect your pool to be a relaxing and fun way to cool off and play during the summer months. Unfortunately, some swimming pools prove to be ticking time bombs that can cause serious injury to your children when they become trapped at the bottom due to drain suction. A defective swimming pool drain can cause the entrapment of a child under the surface of the water if his or her hair gets sucked into the water intake. Other problems arise if the drain creates intense suction when the child’s body covers it to pull his or her body down against the pool floor. This type of pool accident typically results in drowning, injuries that require immediate hospitalization, or death. Accidents that are the result of faulty pool drains may have life-changing effects on the injured. The brain damage caused following an extended period without oxygen can leave the person in a coma or render him or her mentally retarded for the rest of his or her life. Death is often the result if the victim is not found in time or the incident happens while he or she is in the pool alone. Pool safety can often be improved by improving the design of pool drains or replacing broken or outdated drain systems, and when these steps are not taken, the owner of the pool can be held liable by Illinois law. It is often the case that drain accidents can be prevented and are the result of missing drain covers or broken and aging drains. 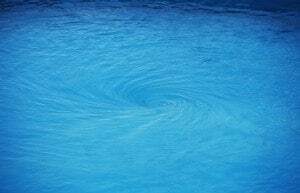 Newer pool pumps can sense when an object or person is covering the drain and shut off automatically. However, old pumps lack this feature, making them dangerous to pool occupants. A qualified pool accident attorney will be able to review your case to determine whether or not the pool drain that caused you or your loved one’s accident was defective and tell you more about your legal options regarding the matter. Rosenfeld Injury Lawyers LLC can help you find an accident attorney who will best represent your needs after giving your case a free evaluation. Your attorney will be knowledgeable and experienced in Illinois swimming pool law and have access to medical experts who will be able to accurately place a value on the cost of the medical care you or your loved one will require as a result of your injury. Contact us today to schedule a free consultation— if you cannot come to us, a lawyer can travel to you. We will do everything in our power to ensure that you are awarded the compensation that you deserve and if we are unable to win or settle your case; our services are free of charge.